Lonesome John Devine was a founding member of CONECA and the first inductee into the CONECA Hall of Fame. 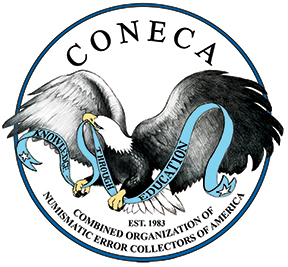 He created the Error Coin Museum, which was the umbrella under which the Collectors Of Numismatic Errors (CONE) and the Numismatic Error Collectors Of America (NECA) were able to merge into CONECA in 1983. In the early 1970s John Devine and John Burrison formed a company called John-John Specialties. As I recall, Burrison worked as a co-pilot/navigator for a major airline. This gave them the opportunity to visit many area coin shows and dealers where the flights were scheduled, allowing them to add to their stock of errors. Devine’s residence was the home base and he put the error coin catalogs together and sold mainly through mail order. There were many layoffs in the engineering field during this time and Devine, an industrial engineer, felt he needed to find more stable employment. Burrison lost interest in the hobby so Devine ended the relationship and started his own error coin mail-order business out of the family’s dining room. Close friend, Duane Spellman suggested the name of “Lonesome John” based on the fact that he was to become the first (and lone) full-time error coin dealer at that time. While he was producing his error coin catalogs, The Numismistake, his talent and enjoyment of writing took hold. Not only was he able to incorporate his writing skills into his catalogs, but he wrote and published two groundbreaking books entitled, Detecting Counterfeit Coins Book 1 (with a focus on error coins) and Detecting Counterfeit Gold Coins Book 2, the later seeing 19 printings. He also published many error related books and catalogs for the growing number of dealers and collectors in the field. Probably the most widely known books he published (aside from the ones on counterfeits) were: Paul Marvin and Arnold Margolis’, The Design Cud, John Wexler and Tom Miller’s, The RPM Book and Wexler’s, The Lincoln Cent Doubled Die. 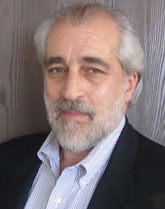 He purchased Error-Variety News from Wexler in the 1980s and published it for a number of years. He also published CONECA’s journal, the Errorscope-Gram (later simplified to Errorscope) from the time the club formed until a few years before his retirement. John enjoyed many things other than coins. Friends and contacts were many in coin collecting, bottle hunting, and metal detecting arenas. He and his wife Peggy, met Marian and Bill Robinson at the Conejo Valley Coin Club. Marian had a metal detector, which interested John immensely, so he bought one. He would later become a distributor for White’s Metal Detectors. They would go camping together at ghost towns or just out into the desert and scratch for “treasure” and bottles. This evolved into treasure hunting stories of these activities included in John’s publications, in particular, in Error-Variety News/The Numismistake (later reverting to Error-Variety News). Bill Fivaz has been collecting coins since 1950 and is a pioneer in the error and variety branch of the hobby. 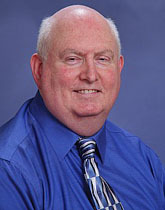 He was a member of the CONECA Interim Board of Directors when the Collectors of Numismatic Errors (CONE) and Numismatic Error Collectors of America (NECA) clubs combined in 1983 and has been the CONECA Youth Director since 1986. He received CONECA’s Dr. Lyndon King Outstanding Member of the Year Award in 1987. 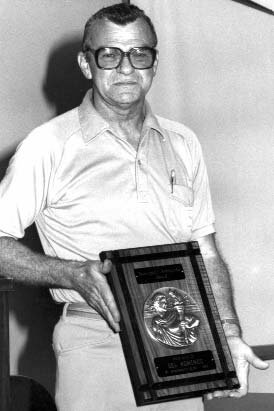 In 1982, Bill was named a Krause Publications Numismatic Ambassador, and in 1986 he received the American Numismatic Association (ANA) Medal of Merit. Bill is a popular presenter and has been an Educational Forum speaker at the Florida United Numismatists (FUN) show since 1979. He is an educator and has taught at the ANA Summer. And he is a frequent contributor to numismatic publications, including Errorscope. Alan Herbert began collecting coins in 1963 and began writing a column for the Collectors of Numismatic Errors (CONE) publication in 1967. 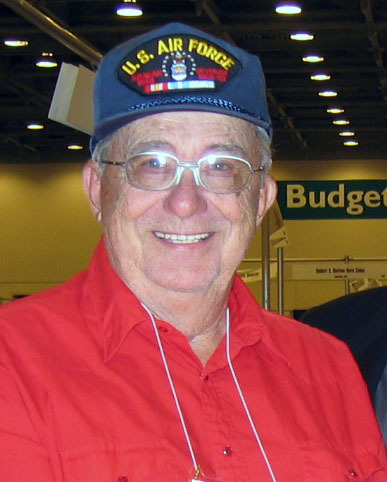 He served as secretary for CONE and has been the Secretary for CONECA since CONE and the Numismatic Error Collectors of America (NECA) merged in 1983. 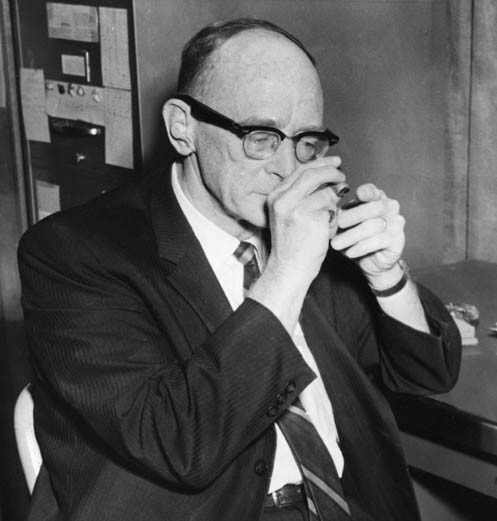 Herbert originated cataloging systems for coin minting varieties and paper money printing varieties. The former, the PDS – Planchet, Die, Strike system, has been used since 1972 and is the primary system used in the hobby. In 1978, John, along with fellow error/variety collector Robert Wilharm, began editing and publishing a monthly magazine Error-Variety News. He went on to become the Chairman of the Board of the Collectors of Numismatic Errors (CONE) and was instrumental in the merger of CONE and the Numismatic Error Collectors of America (NECA) into the single organization CONECA, along with the help of then NECA President, L.G. Davenport (deceased). John’s doubled die research led to the publication of The Encyclopedia of Doubled Dies, Volume 1 in 1978, and Volume 2 in 1981. In 1983, he co-authored a book on Repunched Mintmarks (RPMs) with Tom Miller and in 1984 he authored The Lincoln Cent Doubled Die book. James G. Johnson was the founding editor of Coin World’s “Collector’s Clearinghouse” and “Poor to Very Fine”. He joined the staff of Coin World in 1960 as an associate editor bringing with him a background in journalism. His coin collecting interest began in 1949 through his son James, a newspaper carrier who had questions about certain coins that he received from his customers. Since Mr. Johnson didn’t know the answers he began enquiring about coins and obtained a copy of R. S. Yeoman’s Handbook of United States Coins. “Collector’s Clearing House” appeared only occasionally until 1963 when it became a weekly full page column. The first “Collector’s Clearinghouse” column reported a variety of finds, including different mintmark sizes on 1942-S Walking Liberty half dollars and coins thought to be errors that are now identified as damaged and altered. The level of information in the numismatic error field grew greatly during his editorship of this column. Although numismatic errors were his primary focus, he also contributed to the hobby’s storehouse of knowledge in many other areas. At the time of his death he was researching varieties of Indian Head cents for a book he was working on. Lyndon King is an avid error/variety collector and philanthropist to the hobby. His support to the club as a whole, YNs and education has enabled the club to achieve goals not possible without his help. I became involved in varieties and errors at the age of nine in 1944. Discovered the first 1943/2-P Jefferson in 1948, the first 1944-D/S Lincoln around 1949, and the first 1942/1-D dime around the same time. About 50% of all known double hubbed die coins through the fifty cent pieces were discovered by me. Possibly as many as 25% of all known RPMs through fifty cent pieces were discovered by me. I have authored seven numismatic books, of which three have been published, and four are basically finished but not yet published. I have conducted YN seminars across the nation, and have touched possibly as many as 300 YNs through these seminars. My wife, Joyce, and I have donated several thousands of dollars to these programs through travel and lodging expenses, materials and coins donated, and several small booklets which were printed for each of the seminars. Some TV appearances have been made (1/4 to ½ hour programs) on WTAE-TV in Pittsburgh, PA promoting numismatics. Possibly one of the most notable accomplishments was a nine-year die state study which was probably about 90% complete and accurate. The study was so impressive that the U.S. Mint purchased two sets of the study, and I was told that the study was used to improve the quality of the U.S. Mint sets starting about 1990. Even though I am becoming physically incapable of conducting YN seminars, I still spend several hours each week with local YNs, and am always available for all numismatists across the nation for information and assistance. In addition to being very active in the local Error clubs – including the Orange County Numismatic Error Collectors (ONEC), Don was always there to help with the printing of the Errorscope at the Wallace Trade Bindery in the late 1960’s and the 1970’s. He held numerous positions in Numismatic Error Collectors of America NECA and worked timelessly to promote not only the local and national clubs, but the entire collecting hobby. He was always there with an answer to your questions, a suggestion to help with any problem or situation and a dedication to his friends that will always be remembered and missed. I am sure that because of who Don Wallace was his children grew up to be better people, and like those of us who knew him, we will always have the fondest memories of him. “In addition to being past president of Numismatic Error Collectors of America (NECA), Don was the “In Error” columnist for COINage magazine for many years. J.T., on behalf of CONECA and the entire EV hobby, it is my honor to present to you this statue as the 2003 inductee into the CONECA Hall of Fame. Congratulations and Thank You. Charter and Life member Len Roosmalen has been inducted into the CONECA Hall of Fame. He is the seventh individual to be so honored. Len started collecting errors in 1968 and never looked back. Until recently he operated Len’s Coins and Stamps, a shop in Madison, Wisconsin. Every two months over a period of 14 years he mailed out an error coin auction catalog with some of the most unusual errors to be seen anywhere. Len gave, and continues to give freely of his time and energy to CONECA and the hobby. For many years he served on the Board of Directors for NECA and CONECA, including in 1990-1994 as Chairman of Finance. Over a period of 12 years he handled 76 CONECA auctions, a very laborious undertaking. For his service, he was twice awarded the Lyndon King Award (1988, 1993), which recognizes CONECA’s outstanding member of the year. He also served as Errorama chairman in 1987 and again in 1990. Len has always been an enthusiastic exhibitor of error coins. 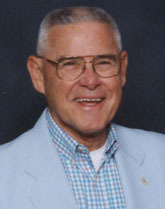 He won five consecutive 1st place awards in the Errors division at the ANA convention from 1977 – 1981. Len has also been a tireless recruiter of new members. He always had a CONECA application in the back of every auction catalog. He won his first Kenny Knapp membership recruitment award in 1987. He also served as President of Midwest Error Coin Collectors. He received the Glenn Smedley Award from the ANA in 1992. This award recognizes individuals who have devoted their efforts to the betterment of the association. Len is a Life Member of the ANA, CONECA, and WISNUMIS. 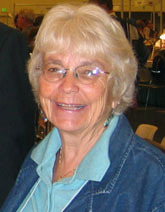 Peggy Devine was a tireless CONECA Errorscope Editor and Board Member. She held Board Seat 2 – Publications, for 13 years and brought a new standard of quality to the journal. She never sat on the sidelines and was extremely active in Board business and attended many Errorama gatherings with her husband, Lonesome John Devine, who published the Errorscope during her tenure and was the first inductee into the CONECA Hall Of Fame. Like her husband, she enjoyed treasure hunting and gold prospecting. She also worked with John on his error coin business. At one point business was so brisk that John had her sewing minor errors into small bags that he marketed in advertisements in places such as Coin World and Numismatic News. Hall Of Fame nomination by Ken Potter. 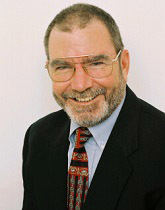 Mike Ellis, former President of CONECA, has been selected as the 2009 recipient of CONECA’s prestigious Hall of Fame award. 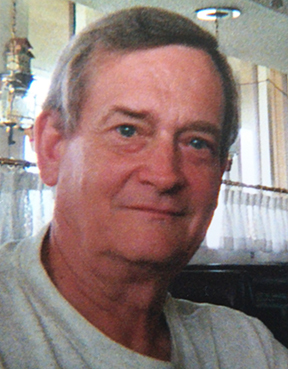 Ellis, who is currently the Senior Grader and Variety Specialist for Dominion Grading Service (DGS) of Virginia Beach, VA, and previous grader for ANACS and Independent Coin Grading Company, has had many accomplishments over his distinguished numismatic career. 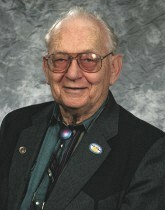 His affiliations to the numismatic community include a life membership in the American Numismatic Association (ANA), life membership in CONECA, and membership in numerous other organizations such as the National Collectors Association of Die Doubling (NCADD), Society of Silver Dollar Collectors (SSDC), Original Hobo Nickel Society (OHNS), and Ozarks Coin Club. While Ellis has served in many capacities in other numismatic organizations, his accomplishments in CONECA are numerous and varied including serving as CONECA’s President for four terms, as CONECA’s Vice President for one term, and on its Board of Directors as the Membership Chairman. He has also served stints as CONECA’s Editor of Errorscope, official auctioneer, as the general chairman to Errorama, overseen the Winner’s Windfall program for several years and in other capacities. 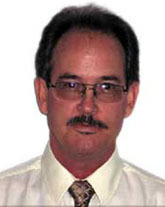 He has received many numismatic awards including the prestigious Dr. Lyndon King Award for the most outstanding CONECA member for 2001, the CONECA Donald A. Wallace Memorial award for the Best Overall Article for Errorscope 1996-97 and ANA’s Glenn B. Smedley Memorial award. Ellis is a gifted writer and penned many articles and columns for Cherrypickers News, The CONECA Errorscope and Numismatic News amongst others. He has also contributed to numerous error-variety hobby books and the Official Black Book of United States Coins. He edited the 4th edition, Volume 1 of Bill Fivaz and J.T. Stanton’s, the Cherrypickers’ Guide To Rare Die Varieties. Ellis also has many numismatic error-variety coin discoveries to his credit with him listed in all of the CONECA attribution guides for many of those finds. His accomplishments are too many for all to be included here, but the selection of Mike Ellis to the CONECA Hall of Fame is well deserved. Congratulations Mike. 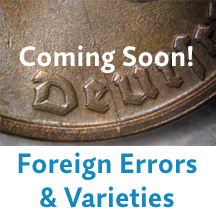 Error-Variety specialist, Ken Potter, was inducted into the Combined Organizations of Numismatic Error Collectors of America’s Hall Of Fame at the American Numismatic Association’s World’s Fair Of Money this year in August. Potter is 59 years old and began collecting coins in 1959 when the reverse of the Lincoln cent was changed from the wheat-back to the now familiar Lincoln Memorial design. 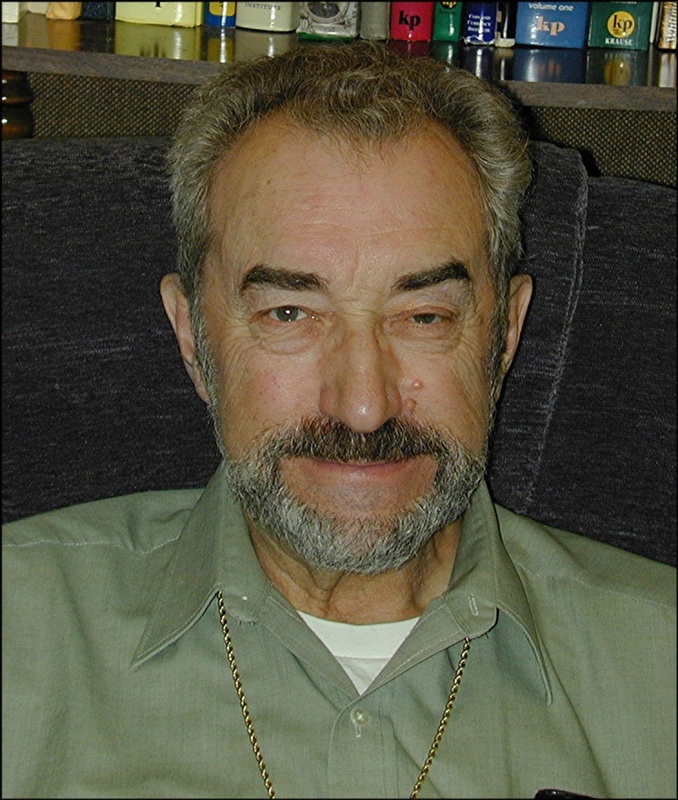 He notes that he dabbled in variety and error coins almost from the very beginning of his collecting interests and began specializing in that field in 1979 when he discovered a new variety on a Canadian dollar that made front page news in the Canadian numismatic press and in stories carried by Numismatic News, Coin World and Error-Variety News. 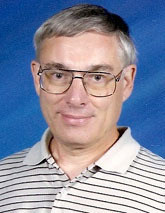 In addition to being a contributor to many books, columns and articles by others, he is a prolific author and photographer with regularly featured columns and feature articles in Numismatic News, Coin World, World Coin News, Canadian Coin News, The National Collectors of Die Doubling’s journal, The Hub; CONECA’s Errorscope, CONECA’s Website and the Michigan State Numismatic Society’s, MichMatist. He is the current editor of Bill Fivaz and J.T. Stanton’s, Cherrypickers’ Guide To Rare Die Varieties and edited the seventh edition of Alan Herbert’s, Official Price Guide To Mint Errors in 2007. 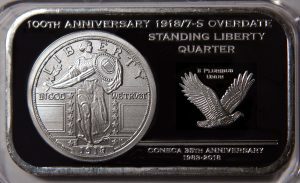 In August of 2004, the Numismatic Literary Guild named Potter as the author of the best article (or series or articles) on coins to appear in a numismatic newspaper (in 2003) for his “Spiked Head” die cracks on modern Proof coins series that appeared in Numismatic News and again for the Best Spot News Story or Continuing Coverage of Developing Story in Numismatics in 2008 for his series on “Presidential Dollar Error Coinage” appearing in Numismatic News in 2007. The Numismatic Literary Guild (NLG) presented him and coauthor Brian Allen with an award of Extraordinary Merit, for the first edition their book, Strike It Rich With Pocket Change in 2007, which is now in its second edition. He is a member in good standing in the NLG, a charter life member of CONECA, a charter member of NCADD, a life member of the ANA, an honorary life member in the Michigan State Numismatic Society, a member of Northwest Detroit Coin Club for over 25 years, and holds memberships in the Worldwide Bimetallic Coin Club and the International Association Of Silver Art Collectors. He’s served on CONECA’s Board of Directors in various positions for many years and is currently on his fourth consecutive term in the Webmaster position. He is CONECA’s longest serving doubled die attributer (unofficially since 1981 and officially since 1985). Past CONECA Awards include the Lyndon King Award in 2003, second place Research Literary Award in 1986, Lonesome John Best Photography Awards in 1999, 2002 and 2003, Kenny Knapp Membership Awards on several occasions, Most Unusual Error Award at Errorama 1986 and an Outstanding Service To CONECA Award in 1986. He has conducted numerous slide show and question and answer seminars on minting varieties and errors for coin clubs, schools, libraries and treasure hunting clubs for over 25 years. He was employed by Chrysler’s Sterling Stamping plant where he retired from the quality control department after 34 years of service to the company in 2008. He was named “Employee Of The Year” by that plant in 2001. Other interests include fishing, the outdoors, aquariums, music, computers and spending time with his daughter Anna, son Robert, and wife Kim. Dr. James Wiles began collecting coins as a young boy in rural Arizona. And he never quit. When other boys pushed aside their Whitman folders for baseball or girls, James just dug in closer with his toy microscope and a lot of will power. Forty years later, he’s arguably the foremost authority on 20th century die varieties in the United States. In addition to his written works, Dr. Wiles has also given back to the hobby through service in the premier club for collectors of error and variety coins – CONECA, the Combined Organizations of Numismatic Error Collectors of America. He has served as President for two terms, and has held other board positions as well. He has written many articles for Errorscope, CONECA’s award-winning numismatic publication and contributes extensively to the Variety Vista web site. And he is ever working to advance the hobby and share the knowledge of error and variety coins. In this pursuit, Dr. Wiles has authored a correspondence course on minting error and variety coins for the American Numismatic Association (ANA), and teaches the ANA’s annual Summer Seminar on minting error and variety coins, a one-week course offered to coin enthusiasts of all ages on the beautiful campus of Colorado State College in Colorado Springs, CO.
Fred is a founding member and is well qualified to be inducted into the CONECA Hall of Fame because he: 1. won the Dr. Lyndon King award in 1998, 2. won the Kenny Knapp Member Recruiting Award in 2001, 2003, and 2011, 3. served on the Board of Directors for seven years (1983-1989), and 4. Served as Errorama Chair for six years (1984-1989). I have known this person for over 35 years and his devotion to the error and variety hobby stands at the top. He most certainly deserves to be along side of those who have been inducted to the Hall of Fame before him. He has donated his time, knowledge, resources, and friendship to those who have but only to ask. He has been one of the few full time error dealers to keep the hobby alive and in front of the numismatic press whenever he can. Frank Leone is the 2013 CONECA Hall of Fame inductee. He joins 15 other Hall of Fame members who have been specially recognized for their accomplishments, dedicated service to CONECA, and achievements in the field of numismatic errors and varieties. As a boy, Frank loved to look through his Uncle Nick’s small wooden box of coins. The box had been given to his uncle by his father (Frank’s grandfather) and contained mostly foreign coins. However, the coins that fascinated Frank were the United States coins – including a Seated Liberty Quarter, a Capped Bust Dime, and a Shield Two Cent Piece. Frank’s fascination grew into a lifelong hobby with a specialty in United States Shield Two Cent varieties and errors. He has written two books on the series, Longacre’s Two Cent Piece Die Varieties & Errors and Longacre’s Two Cent Piece 1864 Attribution Guide. He also published a three volume collection entitled Sam Thurman’s Cud Collection – which he dedicated to his Uncle Nicholas L. Leone. He has contributed numerous articles to CONECA’s Errorscope. He serves as a CONECA attributor for United States two cent and three cent coins. 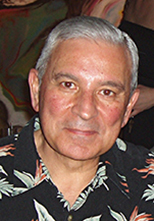 A longtime member of CONECA, Frank served on the CONECA Board of Directors as the Errorscope Editor from 2003 through 2008 and continues to this day to upload the digital version of Errorscope to the CONECA web site. In 2007, he won the Kenny Knapp Member Recruitment Award and the Dr. Lyndon King Outstanding Member Award. Frank and his wife, Sandy, live in New York and have three “sons,” Vincent Frank, Frank Vincent and their dog Petey. Mark Lighterman began collecting coins at age 11 when he bought a Buffalo Nickel from a vending machine and started putting aside coins by date in a folder. He joined the Numismatic Error Collectors of America (NECA) and volunteered as a speaker. He transitioned to CONECA when it was created in 1983, and was appointed Membership Chairman when Kenny Knapp became ill. He served as a member of CONECA Board of Directors, then Vice President, and President. He has contributed to the hobby in many areas, including as National Exhibits Coordinator, Parliamentarian, and member of the Personnel/Human Resources Committee for the American Numismatic Association, President and Chief Exhibits Judge for FUN, Treasurer of the Tokens and Medals Society, and author (along with his mother Myrna Lighterman and Bob Ginsburg) of A Guide to Florida’s Gaming Chips, Checks and Tokens. Al began collecting coins at age 11 when a family friend who worked at the Philadelphia Mint sent him a couple of 1956 proof sets. He began collecting varieties and errors in 1992 and joined CONECA that same year. He has served as Errorama Chair and ANA Liaison (Board Seat 8), Recognitions Chair and Historian (Board Seat 7), and club Secretary. He has also served as Grievance Committee Chair, Storekeeper, State Representative, and Parliamentarian and has been a frequent contributor to Errorscope. In 2009 he received the Dr. Lyndon King Outstanding Member Award, and in 2014 he won the Kenny Knapp Member Recruitment Award. Al lives in southeastern Michigan with his wife Julie Booth and their Golden Retriever Gracie. In addition to CONECA, he is a Member of the American Numismatic Association, the Central States Numismatic Society, the Michigan State Numismatic Society, and the Polish American Numismatic Society. He is also the Chair of his local coin club, the Huron Valley Numismatic Society. He still clings to the dream of having a complete collection of all the listed Lincoln Cent RPMs. 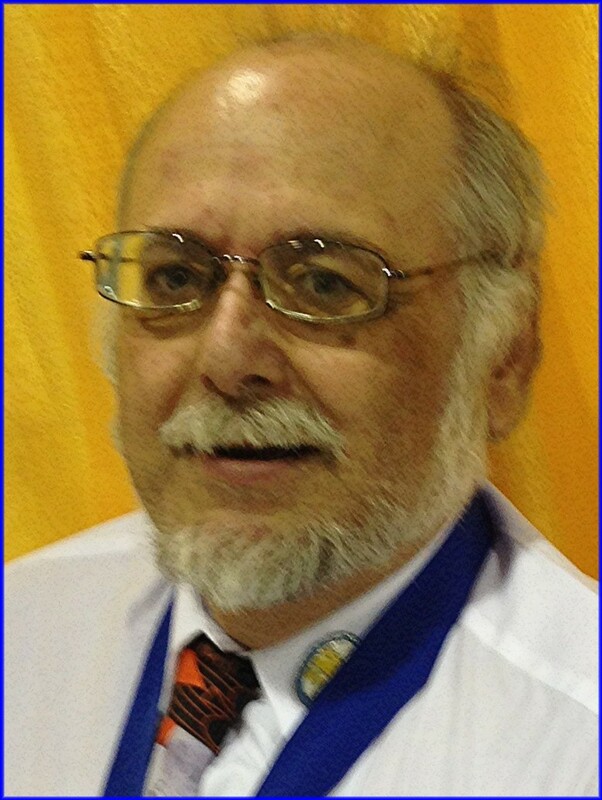 But, Lee is most proud of his service to the club and the error and variety hobby as what he calls a “behind the scenes guy” – promoting the club and the hobby at local, regional, and national shows, and mentoring young numismatists in the 14 coin clubs to which he belongs – including the Redwood Empire Coin Club in his home town of Santa Rosa, California. I became interested in coins at a young age. I remember in 1948 when my Dad got a new Franklin Half in change at the grocery store and handed it to me saying, “Look at this a new half dollar!” Shortly after that I got a Blue Book for Lincoln Cents and that was my start. In April 1953 I received both my Coin Collecting and Stamp Collecting Merit Badges on the way to my Eagle Badge. I was equally interested in both at the time and fortunately pursued the Numismatic path. My interest in varieties started when I was searching rolls and pocket change looking for the elusive 3 Legged Buffalo and 42/1 Mercury. I eventually did find the Buffalo but never the dime. I continued with my collecting until 1959 when I graduated from high school. The next ten years were spent in college and my early years as a teacher, and I was always broke. I married Judy, the best find of my life, in 1970 and therefore had a little extra $ and was drawn back into coin collecting. I started attending local shows and going to coin shops on the weekend. The first coin club that I joined was LSCC in 1975. I joined NECA on May 10, 1983 and CONECA when it was founded. I have served on the CONECA’S Board holding positions of Historian and Membership Chairman. In 1994 I was honored to receive the Dr. Lyndon King Award. I’ve also received two Kenny Knapp awards for member recruitment, the Lonesome John Award for Photography (1995, 2003, 2004) and the Don Wallace Best All Around Article in 1995 and 1996. I also received several Cherrypickers Awards over the years and serve as a CONECA attributer for Shield & Liberty Nickels. Besides CONECA I have served on the board and as an officer for The Seattle Coin Club and The Seattle Numismatic Society. In 1997 I entered my first competitive exhibit at the ANA Convention in New York City. The title was Double Struck Capped Bust Halves. It received awards for; Best First Time Exhibitor, First Place United States Coins and Best of Show. In 2001 I entered an exhibit at the ANA Convention in Salt Lake City, A 12 Piece Gold Type Set which was awarded the Best of Show. Other exhibits were; A Bicentennial 27 Cent Piece, A 1919 Buffalo Nickel with Multiple Errors and An Oregon Exchange Company 5D Gold Piece. Four of the five exhibits dealt with errors/varieties. I am also an ANA Judge for Class 1 United States Coins and Class 17 United States Errors and Varieties. I have written articles for ERRORSCOPE, The Gobrecht Journal, Longacre’s Ledger and Journal of BCCS. The February 1998 cover of The Numismatist shows my Bicentennial 27 Cent Piece and is the first time a single error has appeared on its cover. I have also made presentations to our local coin club and a two day presentation on the History of Coinage on one of the ANA Coin Cruises. Over the years I’ve made many discoveries in the Seated Liberty Series, Indian Head Cent Series and especially the Shield Nickel Series. Many of these have been published in; Breen’s Encyclopedia, Ed Fletcher’s The Shield Nickel Five Cent Series, Rick Snow’s Book on Flying Eagle and Indian Head Cents and The Gobrecht Journal. I Consider the three most significant discoveries to be in the Shield Nickel Series: The 1870 Clashed with an Indian Head Cent, The 1872 Small Over Large Date and one of the 1883 over 2 varieties (F-7). I’ve been involved in Numismatics for over 65 years and currently a member of the following organizations: Life Member: ANA, BHNC, CONECA, THE FLYING EAGLE and INDIAN CENT COLLECTORS‘ SOCIETY. Member: Liberty Seated Collectors’ Society, Barber Collectors’ Society, John Reich Collectors’ Society, Original Hobo Nickel Society, The Token and Medal Society, Seattle Numismatic Society and the PNNA but my greatest benefit has been the friends that I’ve made. Those can’t be replaced by small bits of copper, silver. Rich Schemmer is the 2018 inductee into the CONECA Hall of Fame. He joins 20 CONECA members who have been voted into the Hall of Fame over the last 31 years for their accomplishments, dedicated service, and achievements directly connected to the field of numismatic errors and varieties. 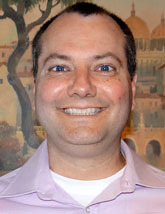 Rich is a founding member of CONECA. He served on the Board of Directors as Finance Chair in 1986, club Vice President from 1988 to 1990, and President from 1991 to 1994. 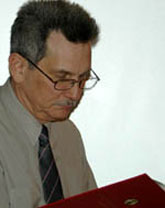 He returned to the Board as Historian from 2005 to 2008. He received the Dr. Lyndon King Outstanding Member Award in 1985 and a Literary Recognition in 2005. Very knowledgeable and always great fun to be around, Rich has been an inspiration to many new CONECA members.